"We, The First Presidency of the Church of Jesus Christ of Latter-day Saints, solemnly proclaim that marriage between a man and a woman is ordained of God." On day one, we introduced our children to the Family Proclamation. We let them hold a copy of it in their hands and spoke about what it was and where it came from. As we discussed the first line of The Proclamation, we also told them that the family is central to God's plan of Happiness. Once they understood this, we assured them that they didn't have to get married until they were all grown up. They suddenly seemed really interested in this little discussion. Scarlett and Guy both expressed concerned that they didn't want to get married yet. and start a family in the future. "...but WHY does Jesus love me?" This answer made her smile brightly from ear to ear. Lovely...you think and do things just like Billy & Jen do in their FHE. They use props and activities that promote and instruct & teach good gospel principles. I sent you a link via IM...let me know if you got it! Wow! I just found your blog from Sugardoodle and I am amazed and touched. 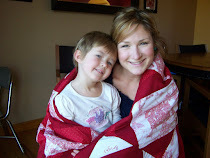 I am so impressed that you pull off a craft a day and so thrilled to start this with my kids. Thank you so much for sharing! Boy am I so grateful that you came into my life my friend...that's how much Heavenly Father loves us...He sends us inspirations and people who would be our inspiration...you inspire me a lot..i love all the ideas and lessons you teach your family...love following your blog! Jocelyn, I have to thank you for inspiring me with these lessons and activity ideas. 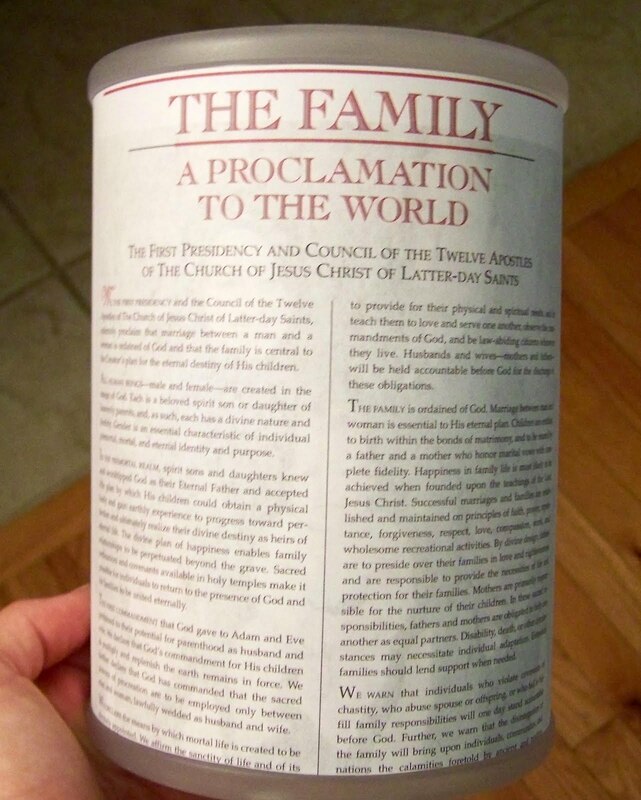 I just completed my own 28 days of the family proclamation and it was totally meaningful and amazing. Thank you, thank you, thank you! I'm so happy to have found your blog. Even though I live in Utah now, my area is mainly older, retired couples, so I love connecting with moms from all over. Thank you for being a great example! I love this. This is a great idea. Thanks.